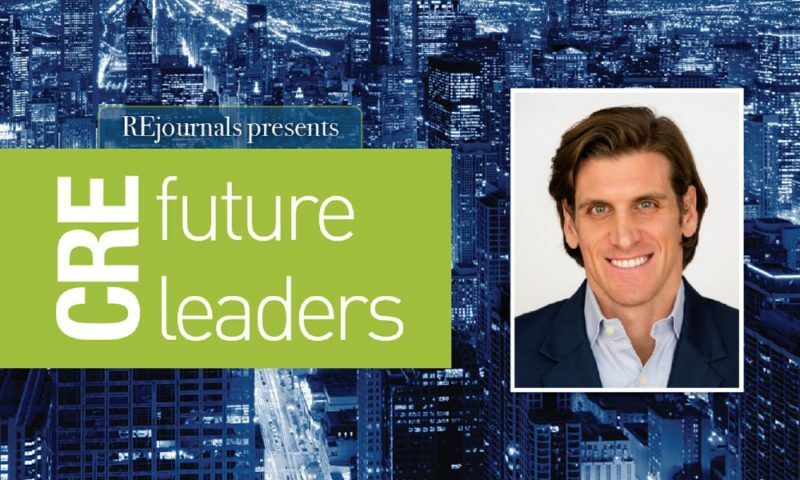 As part of our series, CRE Future Leaders, we caught up with Michael D’Agostino, senior director at Kiser Group. D’Agostino focuses on multifamily, mixed-use and investment properties on the near north side of Chicago with a focus on Old Town, Lincoln Park, Lakeview, Ravenswood and Lincoln Square. During his first two years with Kiser Group, he closed over $40 million in real estate. I grew up in Elmhurst, a western suburb of Chicago and was always playing sports. I made my way to Marquette University for undergrad and always thought I would be a trader—my family was full of traders. At Marquette, I focused my attention on an investment management finance program and graduated with a degree in finance. I specifically focused on investment management and started working on the CFA (Charted Financial Analyst) designation. I thought I could use my finance and quantitative background to take trading to a new level, and I really liked the movie Boiler Room. My biggest takeaway from that movie is pounding the phones and that sort of foreshadowed my future at Kiser Group. When I was a kid I wanted to be a soccer player or a doctor, but in school, I was always good at math, which led me to be more interested in finance and investments. I always knew I wanted the freedom to work when and where I wanted to. As I grew older, I thought I was going to be a trader because my whole family (father, uncles and cousins) were floor traders, but I wanted to use my education to take trading assets further. Bit of a fluke—I didn’t interview with any other brokerage companies. At the time I was looking for an analyst job in finance or real estate, and I met Lee Kiser. He thought I would make a better broker than an analyst. That might have been the best decision I made. A quote of his that still rings in my head today, “Starting in brokerage is like pushing a large boulder down the street. At first, it’s really hard to get the boulder moving, but once it’s going, it becomes easier to push.” My first year I didn’t make any money. It was a risk I was willing to take, and it ended up being for the best. I’ve been passionate about investments since I was young and commercial real estate is just another part of the investment world, and I think it fits my inherent skills pretty well. Absolutely, I wouldn’t be in the position I am today if it weren’t for Lee Kiser. He has been mentoring me since I first started and continues to do so. We are almost partners now, but I still recognize him as a mentor. What does a day in the life of Michael D’Agostino look like? No days are the same. I usually try to workout first thing in the morning at my gym in Ravenswood if I don’t have a coffee meeting in the city. Then I hit the phones hard for a few hours, go to a coffee or lunch meeting, and try to have at least one showing a day. In the afternoon, I put together the quantitative data from the day. This industry can be very stressful. Working out is my biggest stress reliever, and I’m starting to do more and more meditation. After work, I play on volleyball and soccer teams, enjoy the lake, love to eat out and spend time with my family. Being my own boss, which certainly comes with its downsides as well. I have my own freedom. The only person I really report to is myself even though I have clients and other parties I’m accountable to, but my work ethic derives from myself and myself alone. When a deal doesn’t go well, it doesn’t bode well for your mental state so it can be hard not to let it take you out of the game. Growing both Kiser Group and a team of my own with analysts and brokers working underneath and alongside me. I would also like to build my own portfolio of both retail and apartment buildings in Chicago and hopefully across the country. On a personal level, I was told when you are ready, the right woman will find you; well I’m ready for the right woman to find me. Took me awhile but I’m finally open and ready enough to take on a real/serious relationship. I work out at a gym close to my office, so it’s pretty convenient. I travel a lot. I like the water in the summer and the mountains in the winter. Lately, I’ve been swimming in the lake in the winter. It’s part of cold water therapy and a huge stress reliever. Favorite place is probably Spain or Argentina. The people are amazing. They have an unbelievable view on life that I’ve never seen in other parts of the world. I really want to go to Japan and Australia next. Ben Slad from The Laramar Group.